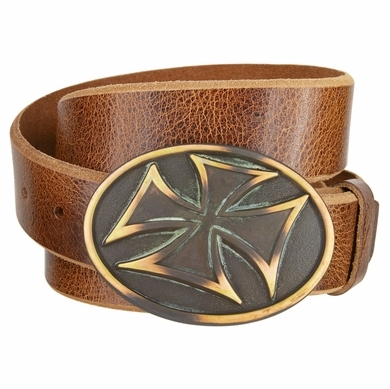 Patina cross buckle full grain buffalo vintage leather casual jean Belt 1-1/2" wide. 7 holes for better adjustment. Snaps to take on and off the buckle.